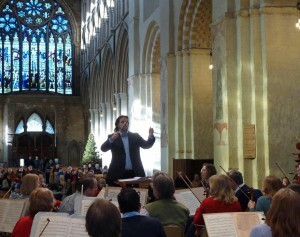 Bjorn Bantock rehearsing SASO in the Abbey. 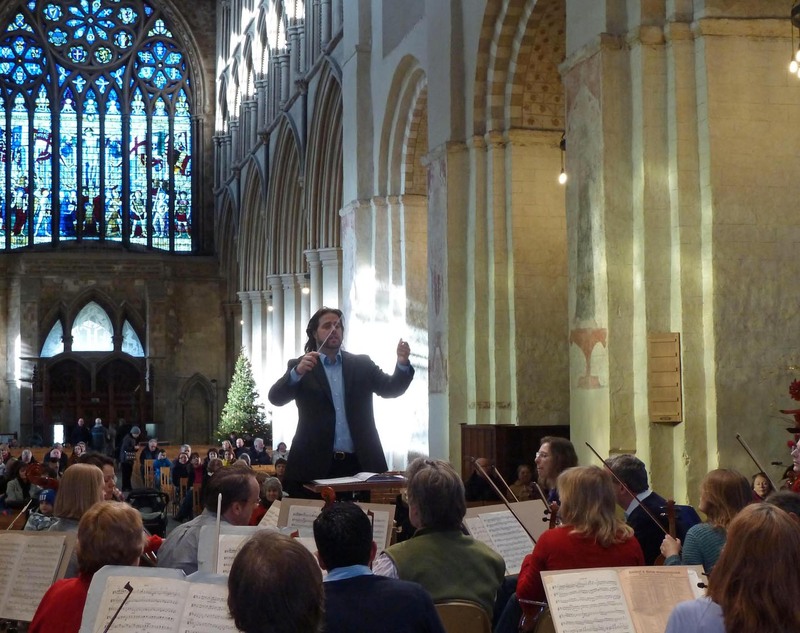 St Albans Symphony Orchestra is to perform the opening concert for St Albans Summer Music: a month-long series of classical concerts, folk music and dance events. The programme under Principal Conductor Bjorn Bantock is on Saturday 8th June (7.30pm) in St Albans Abbey. It features The Planets, Gustav Holst’s hugely popular suite ‘for large orchestra’. The orchestra will also play a suite of music from Aram Khatchaturian’s ballet Spartacus, including a pas de deux made famous in 1970s Britain as the theme music for TV’s The Onedin Line. A second 20th century Armenian composer, Alexander Arutiunian is represented by his Trumpet Concerto, to be played by the talented young Sicilian trumpeter, Giovanni Re. Maurice Ravel’s Pavane pour une infante défunte completes the festival programme. Click here for ticket information and further details.